Cotton Mill Interiors is lovingly and locally owned by Jeff & Marisa Humphrey. Jeffrey Chan and Marisa Jill Whittaker Humphrey are husband and wife business partners and serial entrepreneurs. They are college sweethearts. Jeff & Marisa live north of Atlanta, Georgia, and with their three children. You might run into their children working (and perhaps complaining if they're supposed to be working) at one of their businesses. Spending time together with family and friends is what they love to do most, and is upon what their most fond memories are built. · Marisa studied Russian and Duo-Lingual Parenting at Moscow State University in Russia immediately after the fall of communism. She studied Spanish, in Chihuahua, Mexico with BYU Study Abroad, and received her degree from the College of Fine Arts & Communications at Brigham Young University in Utah. · Jeff studied Art and Theatre in London and emerging free-press Communications in Moscow, Russia and in other Eastern Bloc independent republics after the dissolution of the Soviet Union. He also received his degree from the College of Fine Arts & Communications at Brigham Young University in Utah. · The Humphrey’s business interests have each afforded them new opportunities to learn, meet new people, and travel. Between the two, they have visited 25 countries. · After graduation from BYU, Jeff did a communications internship at TBS. Then he got his securities and insurance license and did financial planning and broker/dealer recruiting. Later, he sold mortgages until the Humphreys opened Real Deals on Furniture (now Cotton Mill Interiors). · After college, Marisa did a communications internship at CNN. She then was a reporter and anchor in Dalton, Georgia, Chattanooga, Tennessee, and in Atlanta working on a political show. She then started “Big Byte Productions” and did multi-media development, including programming, desktop publishing, and technical writing for BellSouth, Hewlett Packard, and Synovus Corporation, among others. · Having never been in retail before, in 2003 the Humphreys opened a 2-acre furniture store in an old cotton mill. · The Humphreys formed Jackson & Harrison Imports (named after their two sons) in 2004 and imported furniture and home décor from China until 2014. 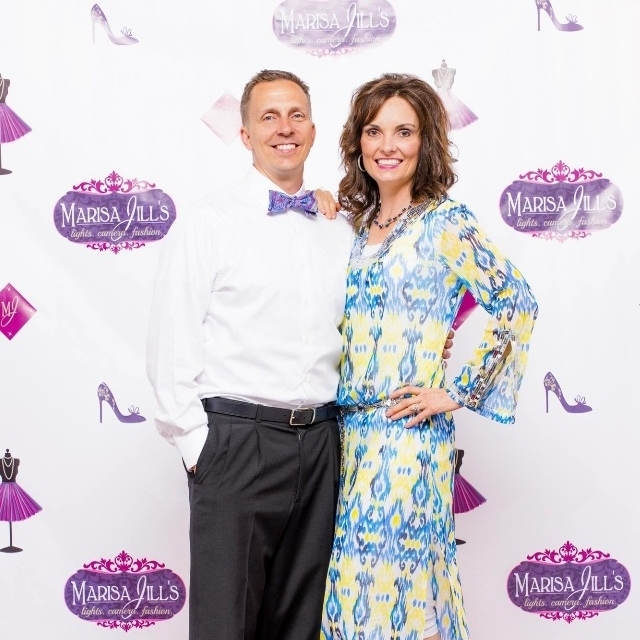 · Marisa designed her own jewelry line, “Marisa Jill Design,” for IMAX Home that was distributed across the country in 2013. · In 2015, the Humphreys purchased the old mill where their furniture had been located for 12 years in downtown historic Jefferson, Georgia. The Cotton Mill, a 118-year-old factory-turned-retail-destination location in North Georgia, now houses other tenants as well as the Humphrey’s businesses.